Lately I've been working on an fundamental improvement to the UI of DataCleaner that I think is quite important, and I would really like to present it to gather some reactions and ideas for further development. The idea was to change the UI metaphor with regards to windows. 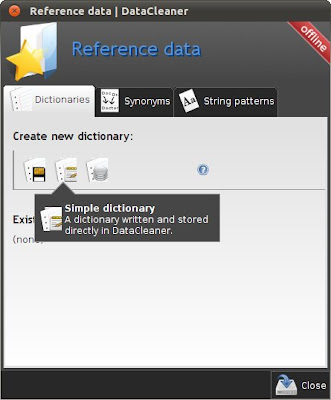 Currently you might say that the left hand window is the "environment" window - it contains management of datastores and reference data (dictionaries, synonyms, patterns) as well as the file menu which includes links to various global dialogs etc. The issue with this window is that it is an additional window that you always have to carry with you, even though you want to focus on a particular job. My aim was to find a way to remove the window, but retain all it's abilities, but make the job creation the main focus of the UI. Moved datastore selection (and management) to the workbench (analysis job) window. Moved the file menu to the workbench window. Created a separate dialog for management of reference data, accessible through the file menu. 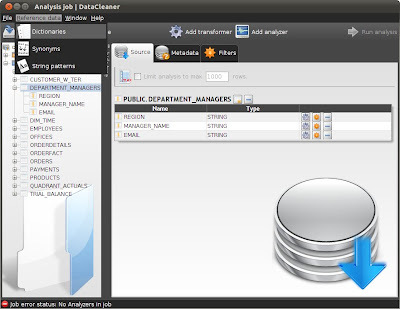 Once a datastore has been selected and the "Analyze!" 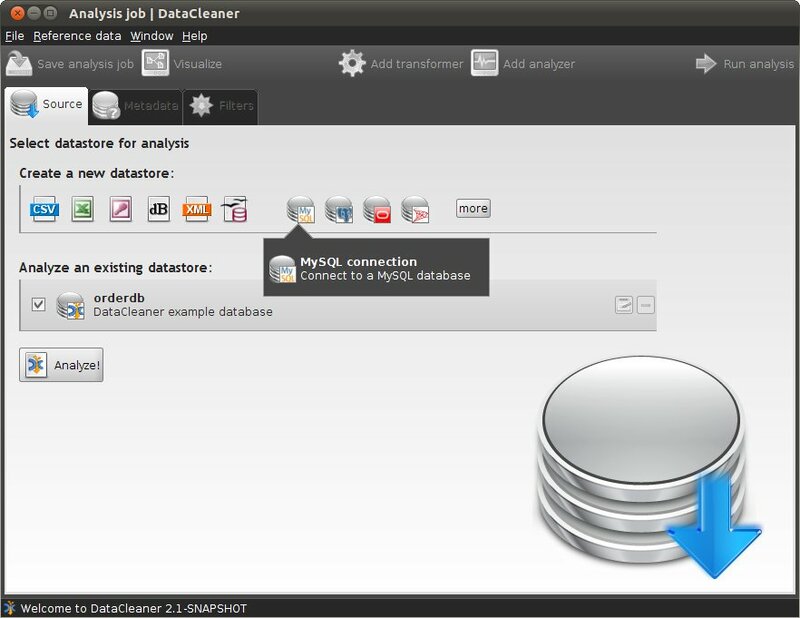 button is clicked, the schema tree will become visible and will correspond to the analysis job window as you already know it. So what do you think? I hope that it's a bit more intuitive of course. The metaphor was to make something similar to a typical office application, where you begin with an empty document which you can build, or you can choose to open a saved document if you want to resume previous work.